AEMG was founded in 2016 and is the driving force around Athletico, WPGI and PGTV. Tomas is a well-known figure on the event circuit having brokered commercial agreements for world touring artists in association with Live Nation, AEG entertainment and other artist management of One Direction, Jennifer Lopez, Bruno Mars and more. Locally, Tomas has spent significant time on brand partnerships for Sydney Film Festival, Melbourne Spring Fashion Week, Summernats, FIFA, Moomba and Redbull Air Race. 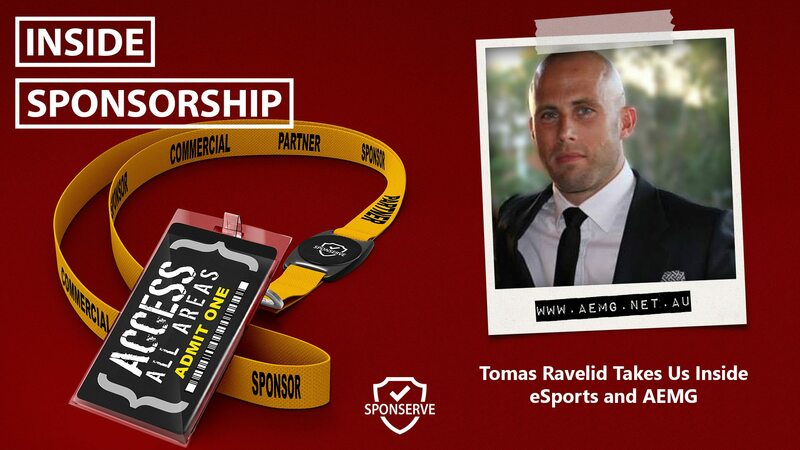 Sponsorship within the rapidly growing eSports industry is an extremely interesting topic. I 2016 eSports classified a total of 148 million people as “eSports enthusiasts,” up from 131 million the year before. In 2019, that figure is expected to be 215 Million eSports enthusiasts. Mark also joins us to finish off talking about how you can self-assess the health of your sponsorship program and we look at Relationships and Internals.